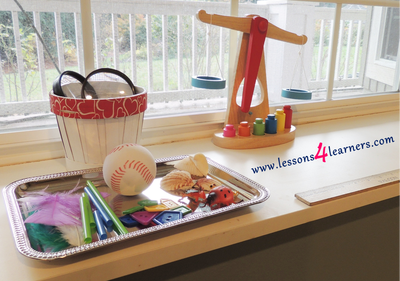 Activities and equipment stimulate children’s thinking and problem-solving. 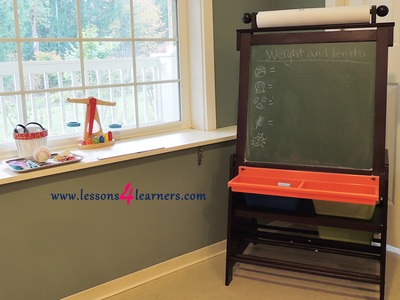 Set up a weight and measure activity center with all of the materials and invite the children to explore the items. 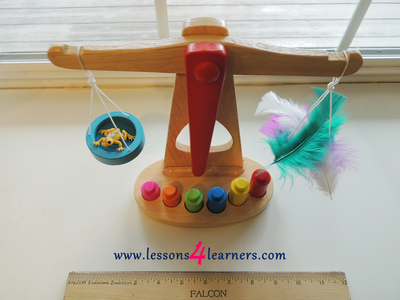 Give them a demonstration of how to use the scale and how to measure the items. Do not focus on the accuracy of the weighing and measuring as much as the hands-on experience. Did the toddler understand that some objects weigh more than others? Were different objects measured? 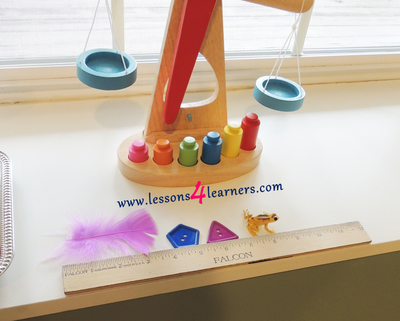 Play games that support math skill acquisition. 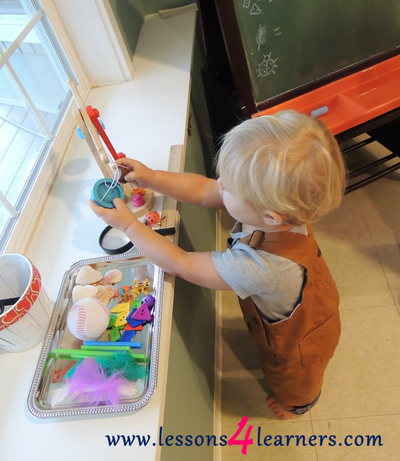 Toddlers can help measure, pour, stir, and scoop in the kitchen. 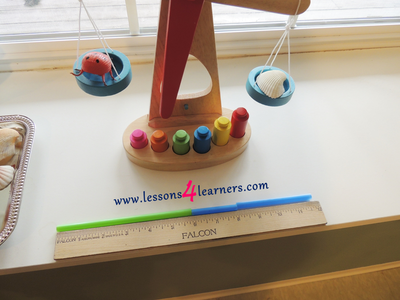 This teaches them about measurement which is an important math concept. Talk about shapes, sizes, sides, and colors of shapes that you see all around. 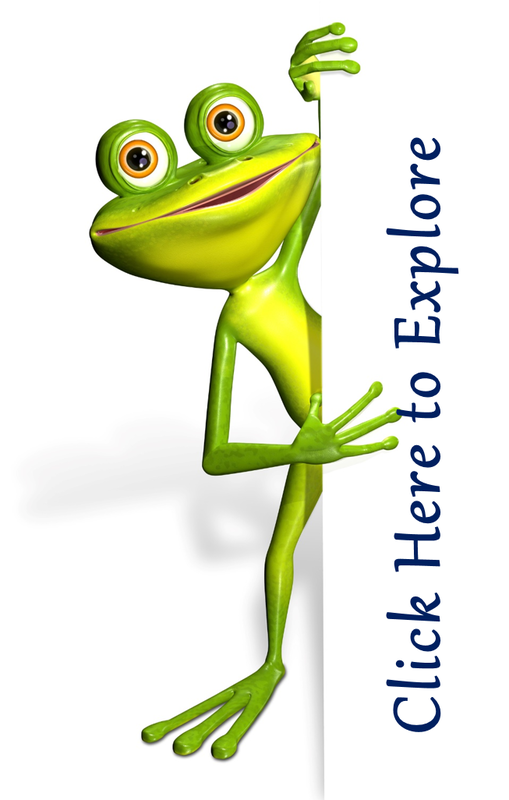 You can play a shape scavenger hunt game or I Spy. Solicit the help of toddlers in passing things out, organizing toys, placing things in the trash. 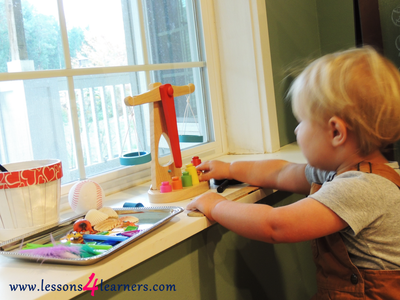 This supports the development of spatial relationships. Talk about math concepts frequently. Point out shapes, numbers, patterns, quantities and more. 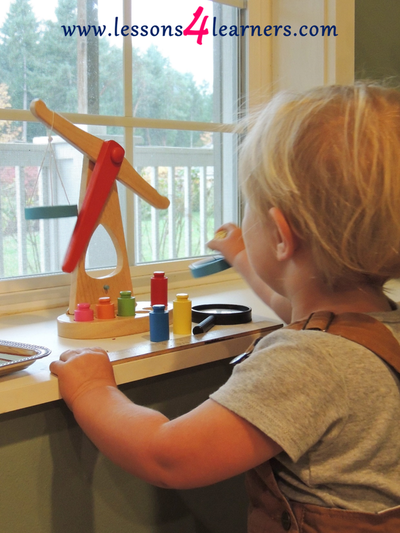 ​Make math fun for toddlers. Praise them for their efforts and make math an exciting part of their day!